When comparing prices on scissor lift rentals in San Jose, Hollister and Morgan Hill, ask about sales tax and environmental fees. Trailer & Tie Down Package Available At Special Rate When Rented With This Scissor Lift. 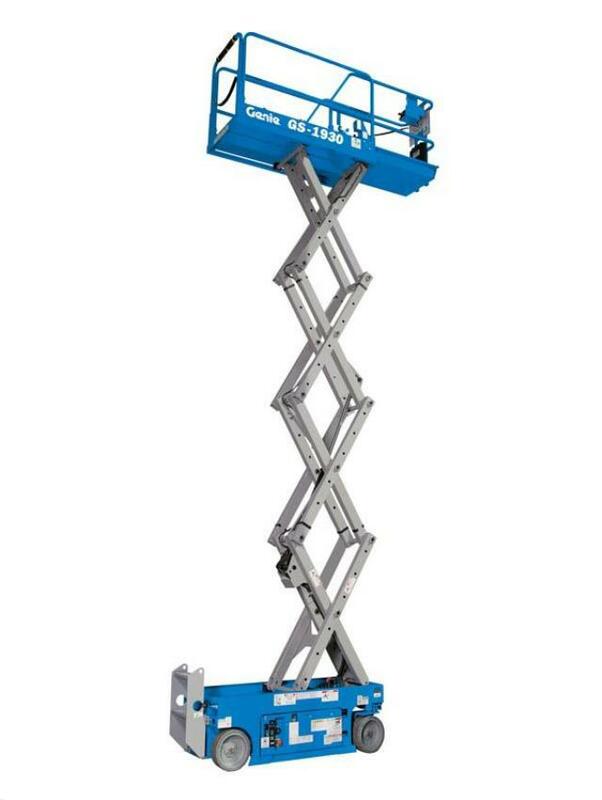 A stable, reliable and easy to operate scissor lift with a built-in platform extension. The solid steel deck platform has a slip-resistant surface. The ergonomic Joystick Controller operates from the platform or the ground. Low noise level allows operation in quiet work environments. High angle steering provides excellent maneuverability. To safely tow this scissor lift on a single axle equipment trailer, A Tool Shed requires a mid sized SUV, truck or van. You must have a 2" receiver type hitch that is attached to the frame of the vehicle, in good condition, and rated at 5,000 lbs. or more. 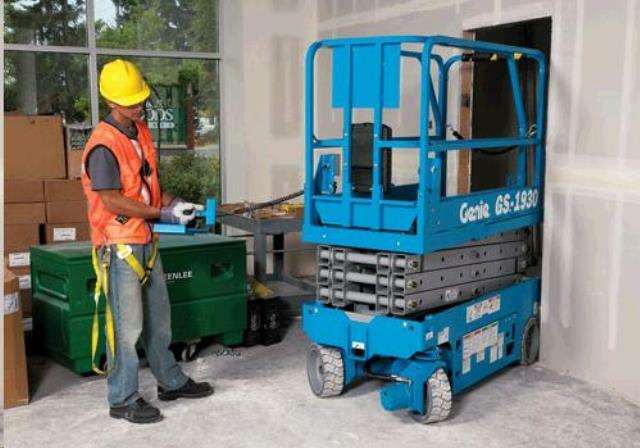 A new Safety Harness is issued with every scissor lift rental as a sale item only. If you already have your own, you may return any unopened packages for a full refund at the completion of the rental. Delivery Fees May Apply. Approved Credit Card Required for Deposit. 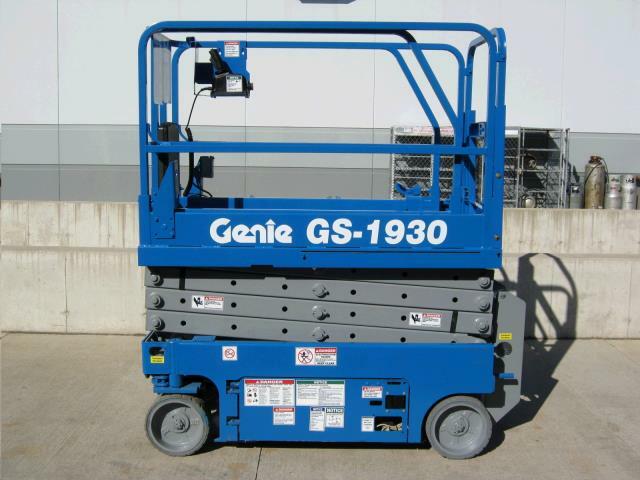 * Please call us for any questions on our 19 foot genie gs 1930 electric scissor lift rentals in San Jose, Campbell, Salinas, Santa Cruz, Watsonville, Morgan Hill, Hollister, Santa Clara, Gilroy, Milpitas Sunnyvale, Fremont, Salinas, the Greater Bay Area and the Monterey Peninsula.